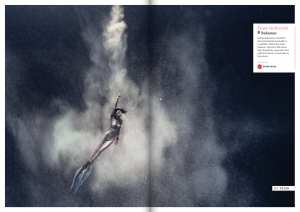 What’s in this issue: Captivating storytelling. Beautiful imagery. 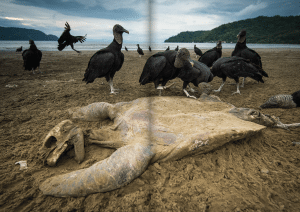 World-class writers and photographers combine to bring the wonder of our blue planet to life and highlight some of the biggest threats it currently faces. 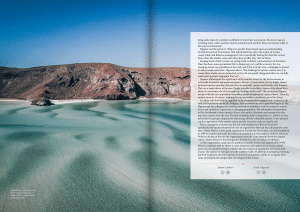 Scroll down to leaf through a selection of this issue’s pages, followed by synopses of our editorial features and columns. All orders shipped from the UK. Postage prices vary depending on shipping destination. Deliveries to Europe and North America should arrive within 2-5 working days. Deliveries to other destinations could take up to 7-10 working days. 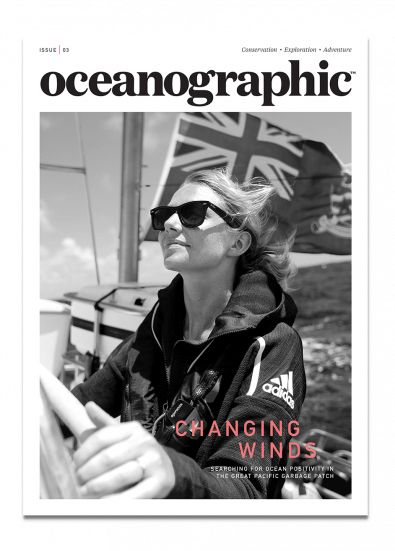 Ocean advocate, adventurer and plastic pollution campaigner Emily Penn reveals the shock and optimism felt by the all-women crew of eXXpedition, who sailed the Great Pacific Garbage Patch this summer on a research and public awareness mission. 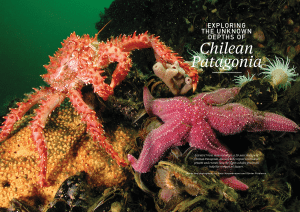 Revered as one of the planet's last true wild places, Patagonia is under threat. 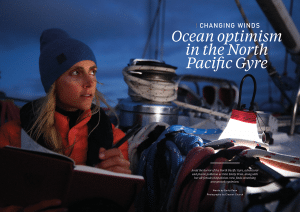 Scientist Vreni Häussermann reveals the beauty of the area's marine environment, along with some of her biggest concerns and what gives her hope for the future. 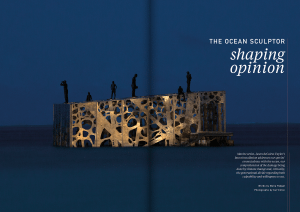 Renowned marine sculptor Jason deCaires Taylor discusses his latest project: Coralarium. The installation looks at our connectedness with the natural world as well as the generational divide regarding climate change and our (un)willingness to change. 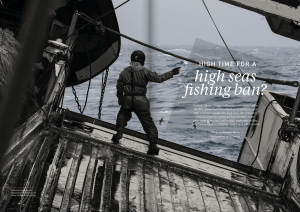 The high seas are lawless.This year the UN convened for the first of four summits to discuss the implementation of a treaty that would include protections from overfishing. 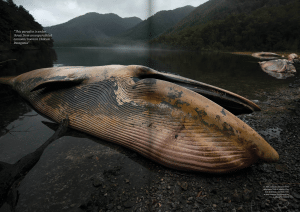 What would such a fishing ban look like, and how would it work? 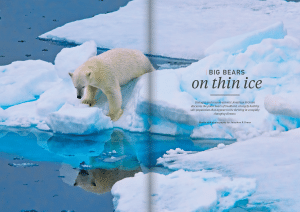 With rapidly retreating sea ice and the associated loss of hunting grounds, polar bears face an uncertain future. Biologist and explorer Jonathan Green analyses the Svalbard bear population, which seems to be managing the changing climate just fine. 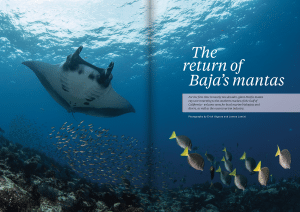 The Sea of Cortez was once regarded as a haven for manta rays. Then they disappeared. After nearly two decades they have returned once more. 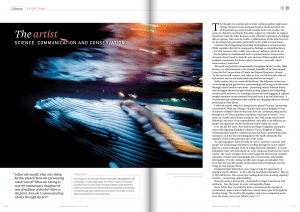 Joanna Lentini meets the biologist monitoring their return. 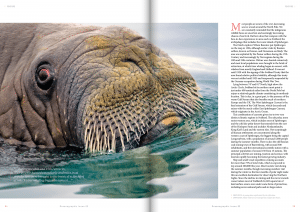 Each issue, we chat with one of the world’s leading ocean photographers and showcase a selection of their work. 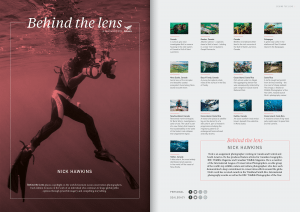 In this edition, we meet International League of Conservation Photographers member Nick Hawkins. 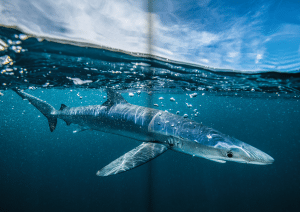 Marine biologist Dr Simon J Pierce, Principal Scientist at the Marine Megafauna Foundation, discusses whale shark tourism and reveals the places that offer the best shark- friendly interactions. Big wave surf champion, environmentalist and social change advocate Dr Easkey Britton discusses the power of our inner cycles and how we should work to tune into our natural ebb and flow. 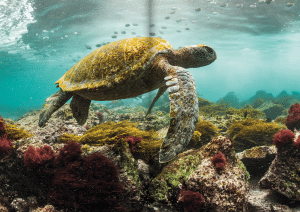 Underwater photographer and artist Matt Draper, whose mantra is to ‘replace fear with fascination’, discusses how art and science can work together for the benefit of lasting conservation. The team at Project AWARE Foundation, Oceanographic’s primary charity partner, reveal how, contrary to popular belief, the global shark trade isn't all about fins and Asia. 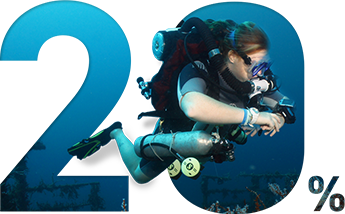 We donate 20% of our profits to ocean conservation, supporting the amazing work being done by our partner charities. It is a promise we are proud of. 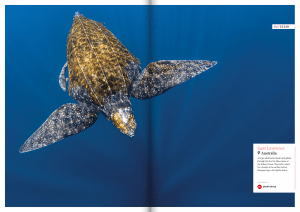 Beautiful ocean stories straight to your inbox. Join our community.